Welcome to the Anna Kho Music Room! 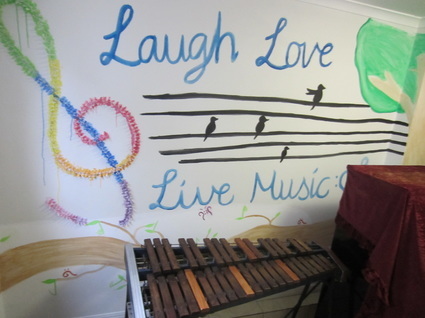 Music lessons for Percussion (Mallet keyboard, Snare Drum, Timpani), Drum Kit, Piano or Music Theory! Note: All first lessons at Anna Kho Music Room are FREE and open to all ages - children to adults! Contact me to schedule a time now! Percussion - FIRST LESSON FREE! Percussion is a diverse instrumental family that ranges from drums, mallet keyboard, timpani to auxiliary, found objects, body percussion and anything you can find to hit to make an interesting and enjoyable sound! In addition, percussion is a very physical activity and assists with co-ordination of the eyes, hands, feet and mind. Piano - FIRST LESSON FREE! Piano is high in demand and a popular instrument in music. It is a recommended instrument for those who are interested in starting or continuing music at any age. It allows you to understand bass and treble clef reading, and being able to play melody and harmony at the same time. It can be a solo instrument, ensemble instrument, or accompaniment. It is also the perfect instrument to start learning music theory and using it in a practical context. Music Theory - FIRST LESSON FREE! Further your music theory skills in either classical and jazz, or both! Theory is very important in music, as it helps you further understand music in your practical work through analysis of structure, melody, harmony, duration, dynamics, timbre and texture. If you own any instruments as listed or want music theory tuition, then I am more than happy to travel within the Brisbane area of Queensland, Australia to teach you! For more information go to Music Teachers Website. Music making with friends, family and audience - fantastic way to open up to the world!